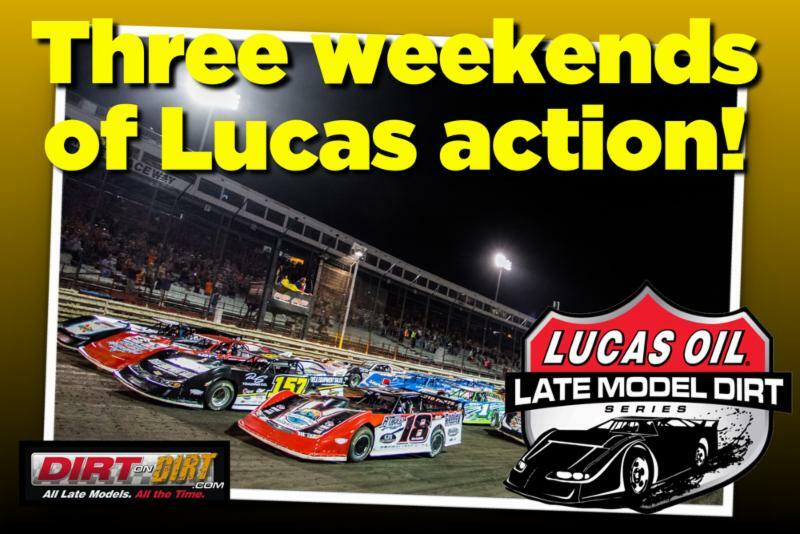 Beginning this weekend at Knoxville (Iowa) Raceway, DirtonDirt.com plans live pay-per-view video broadcasts over three of the coming four weeks featuring the Lucas Oil Late Model Dirt Series. Knoxville Nationals preliminary programs kick off a busy stretch on Sept. 13-14, while Brownstown (Ind.) Speedway's historic Jackson 100 is up next, scheduled for Sept. 22. Finally, Pittsburgh (Pa.) Motor Speedway's Pittsburgher 100 is also planned for broadcast on Oct. 5-6. With every lap of action from five programs slated for live broadcast, programming for each of the three weekends will feature multiple announcers, several cameras, instant replay, live scoring, driver interviews, chat room and more. Click below to purchase your pay-per-view packages now or follow the secondary link for FAQs and more information about the broadcasts. Schedule notes: Due to television restrictions, live video coverage for Saturday's Knoxville Nationals finale will not be available; only Thursday and Friday's program are available for pay-per-view purchase. ... Friday's Jackson 100 qualifying will not be broadcast via pay-per-view, though a brief, free stream may be made available on some platform. ... The entire Pittsburgher 100 weekend will be available.